Close to the famous Zürich lake and just a two-minute walk from Enge train station this turn of the century building provides flexible office space, a fully equipped and state-of-the-art meeting room and kitchen facilities. A lot of well known international operating companies have their headquarters or European office here. If you want to meet them, you are well-equipped to network and give your business a strategic presence. This is a highly sought-after site, owing to its unparalleled work environment and practical solutions. Located near to the train station, and well connected to the road network, this centre is situated in a prominent building and offers two floors of workspaces, with large windows and excellent light. Parking is available nearby. This centre offers 24-hour access, breakout/lounge spaces, beverages and videoconferencing facilities. Offering a fantastic selection of office spaces in the heart of Zurich's vibrant central business district, this space is ideal for professionals looking for a comfortable and professional place to work. You can choose from a range of options, with flexible membership options and transparent rates. With 24 hour access you can work around the clock, and access to meeting rooms is made easy. Friendly admin support are available on-site to provide administrative support and more. A modern centre situated in the heart of Zurich, offering office-spaces on flexible terms. Here, tenants can enjoy the high-speed internet, meeting rooms, conferencing suites and customer parking. Disabled access facilities are also provided for those who need them. All work-spaces maintain good levels of natural light as well. In addition, there is a wealth of local amenities in the immediate vicinity, including an abundance of restaurants, bars, cafes, hotels and attractions. Transport couldn't be easier as well, with the Zurich Main Station at your doorstep. Part of a luxurious neighbourhood and on one of the world"s most exclusive shopping streets, this business centre is on the top three floors of a five-story building. 14 offices, two conference rooms and stylish open spaces for flexible workspace use. The lower two floors are the flagship store and administration of the Italian fashion label Dolce & Gabbana. This centre is a cut above, providing the suitable framework for your business. Centrally located in Zurich, in an attractive and renowned area, these stylish office spaces are available at flexible rental terms and very convenient prices. They benefit from a wide range of first-class services provided by professional and highly skilled staff supporting your business with virtual office services, legal domicile without office rental and branch set up services. Surrounded by hotels, restaurants, cafés and numerous amenities, these offices are well connected to the major motorway junctions and are served by various public transport routes. 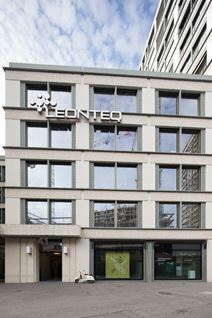 This is a unique opportunity to rent high standard office spaces strategically located in Zurich: central location, excellent public transport links, attractive taxes, qualified employees and the general efficiency and functionality of this region, make these offices a professional and convenient place to develop your business. This is a highly sought-after space, surrounded by an abundance of cultural landmarks, including museums and historical monuments. 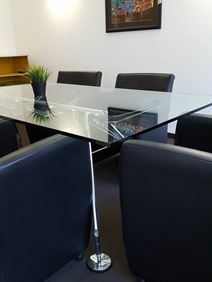 Conveniently located in one of the prime business addresses of Zurich, these offices offer a professional working environment, equipped with high speed internet connection, large meeting rooms, advanced videoconferencing facilities, lounge area and provided with support services to assist your business in your daily activities. The strategic location in the heart of Zurich's business district will definitely enhance the image of your company. This centre provides office solutions with elegance and style within the highly prestigious location on Zurich's most expensive and exclusive shopping avenues, Bahnhofstrasse. The offices come fully furniture and offer many benefits including administrative support, cleaning services and a friendly reception team who will greet your clients. The office is easily accessible via public transport with 5 trams that stop just outside and the train station is just a 9-minute walk away. There is lots to do within the immediate proximity with historic museums and castles and the famous botanical gardens. You will be spoilt for choice with the many restaurants and bars and there are many local hotels also nearby. This massive office space consists of several fully furnished meeting and conference rooms. Equipped to a high standard with state-of-the-art technology systems, high-speed Internet connection, the latest videoconferencing facilities, these office spaces benefit from catering service, booking service and any type of administrative service provided by a professional team available to support your business. This centre is ideally located, just a few minutes’ away from the airport, well connected to Zurich city centre and the major motorway junctions. Modern and stylish business centre located in the up and coming ares of Alstetten in Zurich. The centre offers a series of bespoke packages for coworking options, designed to suit your needs. The centre maintains an inspiring and creative atmosphere and allows you to networking with like-minded individuals in the centre. You will benefit from a prestigious buisness address and highly desired location. The neighbourhood offers a variety of amenities including cafes, restaurants and bars. You can also make excellent use of the fitness centre on the ground floor. This business centre provides bespoke corporate space and access to meeting rooms and business support services, including virtual office services. It is within walking distance of transport links and lifestyle amenities, including eateries, shops, museums and Zürich Opera House. The centre has a prestigious business address with great connectivity which will give your company a strategic site from which to operate. A short stroll from Lake Zurich this business centre has a wonderful central location right next to Bahnhofstrasse, in the financial region of the city. A relaxed kitchen area is available away from a choice of conference rooms, flexible co-working space and luxury private offices. The centre also comes with IT support for the shared internet provided, ensuring that you stay well connected throughout your occupancy. The space is perfectly placed for commuting by public transport or driving into work, making it a highly sought-after site. The building is accessible 24 hours a day, with administrative support and access to other centres nationwide. This accommodating and adaptable business centre offers a range of options from serviced offices to co-working spaces. Within the immediate area, there are lots of eateries, hotels, shops and local hot spots where you can accommodate your clients. Located in an attractive and renowned business district of Zurich, this prestigious building is equipped with lounge areas, parking facilities and all the services and facilities needed to run a successful business. You can also take advantage of this centre's unparalleled work atmosphere, with an abundance of services to help your operations run as smoothly as possible. Surrounded by banks, offices, numerous restaurants and bars, these offices benefit from excellent public and private transport connections. Less then 10 minutes away by foot, you can reach the Old Botanical Garden. Found in the city centre of Zurich, this business space offers a variety of flexible office solutions including private offices and desks in an open collaborative coworking space. The workstations all benefit from excellent amenities and services including cleaning service, access to food and beverages, printing facilities and access to meeting rooms. Conference rooms come fully equipped and ready to use, allowing you to work efficiently. The location benefits from great amenities and excellent access to public transport, making your commute to work easy. The new business hot spot is just 5 minutes walk from the railway station, and has excellent transport connections to a range of European cities (Paris, Brussels, Milan, Rome, Munich, Frankfurt, Hamburg, Berlin, Vienna, etc.). Zurich Airport is just 12 minutes away by train. The centre offers superb business amenities, in a comfortable and efficient environment. Providing conference rooms, meeting rooms and offices on flexible terms to suit your needs. A short walk from Zurich airport, this serviced office is also easy to access by train and car, and is ideally placed for a modern business centre. Offering high-quality furnished offices in a comfortable work environment, along with a host of business services including catering and high-speed Internet. There is administrative support, telecoms and meeting rooms available at your disposal. Furthermore, the surrounding area offers an abundance of local amenities, from shops to eateries and hotels. These serviced offices are part of a large-scale shopping centre close to the CBD, and as such are surrounded by various retail opportunities. On the grounds of an historic paper mill, the centre is surrounded by companies from industries such as the media, publishing and finance. There are video conferencing facilities provided of which one can take advantage, and the centre is accessible 24/7; perfect for companies with international clients. A selection of offices is available in the most eminent and attractive business area of Zurich. These modern offices are provided with high standard services and facilities, including parking facilities and spacious lounge areas. Surrounded by international companies and banks, this is a first-class and renowned location that will contribute to the professional image of your business. Here, you can enjoy 24-hour access, IT support, beverages, conference facilities and IT support. Offering a selection of workspaces ranging from private offices, coworking desks and access to conference rooms, this centre provides a great place to work and develop your business. Work stations come fully equipped and with access to great amenities. Prices are affordable and allow you to be in a great location of Zurich without a huge investment. A range of facilities include cleaning, utilities, high speed internet, security systems and printing facilities. The location is ideal with easy access to all forms of public transport and the airport is not far. First-class office spaces are available for letting in this historical building, which offers a professional and pleasant working environment. The offices enjoy a full range of services and facilities, including cybercafé, lounge area and parking facilities. In addition, there are IT and administrative support to help your business run as efficiently as possible. They are located in a dynamic area hosting various companies, offices and banks and well served by public transport. Modern and innovative business centre in Zurich, with on-demand workstations. Here you can choose from fully furnished private offices, coworking spaces and benefit from being a part of the business community in the centre. There are plenty of networking opportunities to expand your business contacts. The centre has 24-hour acces, meeting rooms and beverages. Excellent public transport links to make your commute as easy as possible and you are only 5 minutes away from the lake. This spacious office space is in a very sought-after area of Zurich just a few minutes walk from the FIFA restaurant and private members club. Each of the spaces has a separate entrance and separate rooms for managing staff, as well as large document storage space, shared kitchen with fitted fridge and microwave and 3 washrooms. The offices can be rented furnished and unfurnished and there are private parking spaces available upon request. A prestigious location in the financial heart of Zurich, these 15 offices are surrounded by Swiss banks and are fully furnished and servoced by a reception team. Just a 20-minute drive from the airport for convenience. This centre is especially ideal for companies with overseas contacts and business. The surrounding area offers an abundance of shopping facilities which you can explore and enjoy outside of work. Currently under construction, this incredible new work-space is an unforgettable centre for concentration, collaboration and community. This business centre gives you an expansive feeling of working freedom, social warmth and go-getting atmosphere within a creative community. This centre will be your new self-contained business and lifestyle destination, a trailblazing mishmash of art, culture, dining, entertainment and co-working space. First-class office spaces are available for letting in this superb building at very convenient prices and flexible rental terms. The offices enjoy a full range of services, including virtual office services, legal domicile and branch set up services. The building is managed by a professional and friendly staff providing your business with high standard support and excellent services. Strategically located in the heart of Zurich, you business will benefit from excellent connection to the airport and to the main city's amenities. This is a modern upcoming area, ideal for young professionals, creative minds and entrepreneurs alike. Let your ideas flow in the vibrant office spaces, network while enjoying a cup of freshly-made barista coffee or learn from fellow professionals at one of the curated events. The space is easily accessible by car from all directions and has convenient access to the Zurich International Airport via bus, tram or train. Found in the CBD of Zurich, between the city centre and the airport, this centre is easily accessible. The building offers a great range of fully equipped offices, which are well designed and benefit from a range of amenities such as 24/7 access, complimentary refreshments and more. The space is home to an international business community, consisting of entrepreneurs, creatives and start-ups. The airport can be reached from here in just 6 minutes by car, or 10 minutes by tram.